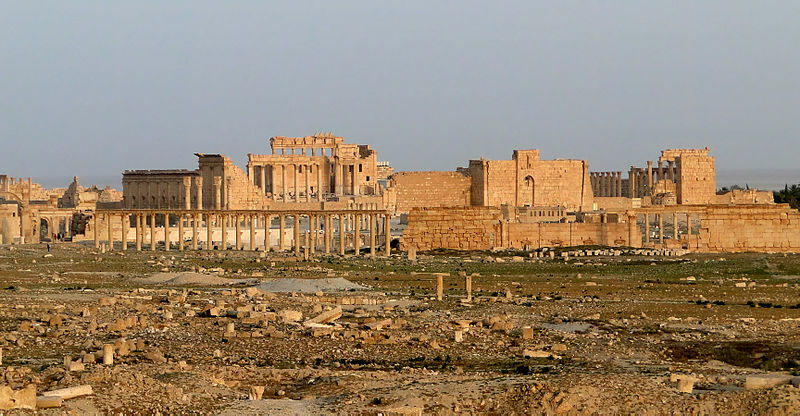 As the United Nations Security Council prepares to confront the Islamic State, more reports are looking at just how much looting and destruction is taking place there, and the claims about the connection between the illicit antiquities trade continues to receive anecdotal support. The draft resolution, which was scheduled to be discussed by Council members in a closed meeting Friday afternoon, requires all 193 member states of the United Nations to prevent the sale of antiquities from Syria, similar to a measure the Council passed 10 years ago regarding antiquities from Iraq. In November, 30 senior members of the group were invited to travel to Turkey for training and technology after attracting the attention of NGOs and foreign governments. Only eight could make the trip because fighting with Islamic State blocked their route. The three-day training session in a secret location close to the Syria-Turkish border was run by Heritage for Peace, or HfP, a Barcelona-based NGO that sees heritage preservation as a way to bring warring parties to the negotiating table. Leading the instruction was Rene Teijgeler, a Dutch archaeologist and former lieutenant colonel in the Dutch army, who ran heritage preservation operations in Iraq and Afghanistan, and his partner, Isber Sabrine, a Syrian-born archaeologist based in Barcelona. “We are neutral. We adhere to the Red Cross code of conduct and we are very careful about who we operate with,” said Mr. Teijgeler, pulling on a cigarette in a hotel cafe. “We vet them carefully. You don’t want wild cowboys doing crazy things,” he said. The training, partly funded by the Dutch government, focused on how to uniformly catalog damage at ancient sites like the Roman amphitheater at Palmyra or the crusader castle of Crac des Chevaliers. Trainees were given laptops and cameras with powerful zooms to help improve their work. [T]he international community appears to be getting its crime-fighting act together, evidenced not only by the sharing of these photos with law enforcement, and by the scrutiny by “European and U.S. spy agencies” of photos sent via text messages and WhatsApp . . . Unfortunately, the independent activities of the daring group of archaeologists apparently isn’t getting the support needed. And one also has to wonder how much material is bleeding out of Syria via Iraq into Saudi Arabia and the Gulf States, not discussed in this article but theologically sympathetic to ISIS and therefore not unlikely to have dealers able to be approved by ISIS. Somini Sengupta, U.N. Prepares Resolution to Confront Islamic State on Oil and Antiquities, The New York Times, February 6, 2015, http://www.nytimes.com/2015/02/07/world/middleeast/un-prepares-resolution-to-confront-islamic-state-on-oil-and-antiquities.html. Joe Parkinson, Ayla Albayrak & Duncan Mavin, Syrian “Monuments Men” Race to Protect Antiquities as Looting Bankrolls Terror, Wall Street Journal, February 11, 2015, http://www.wsj.com/articles/syrian-monuments-men-race-to-protect-antiquities-as-looting-bankrolls-terror-1423615241 (last visited Feb 11, 2015).